We have flexible scheduling including eight, twelve or sixteen hour shifts. We have a weekend stipend program which pays six hours of bonus pay per weekend, as well as per diem and premium per diem. We have shift differentials up to 20% on the weekends, one dollar per hour for evenings, one dollar and fifteen cents for overnight shifts. We offer competitive wages, medical, dental, life, short and long term disability and pension (retirement) benefits. We have a Tuition Reimbursement program for Nursing School of $3,500 per year. We offer LNA, LMNA, IV Certification, CPR and continuing education classes at no cost to employees. 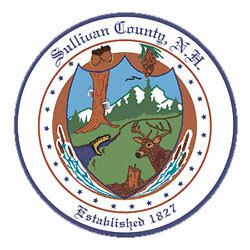 Join us at Sullivan County Health Care! Delivers basic nursing and restorative care within the facilities policies and procedures, under the supervision of LPNs and RNs. Attend report prior to starting resident care and keep licensed personnel informed of significant observations in resident care and environmental conditions, supply and equipment needs, and performance problems. Assist residents with all aspects of personal hygiene including bathing, grooming, and dressing; administer specified skin care treatments according to facility protocol and the Resident Care Plan. Provide assistance to residents for ambulation and movement including range of motion, turning, positioning, supporting or transferring; and assist residents with nutrition and bodily waste including feeding, hydration, toileting, bowel/bladder training, input and output and caloric counts. Provide environmental and personal safety to residents involving adaptive devices and special clothing; accept responsibility for monitoring, application, and release of restraints according to policies and procedures; and provide comfort, rest, and activity, including privacy, physical and occupational skills for the resident. Secure a safe environment for staff and residents by reacting to emergency situations per facility policy such as fire drills, redirecting wandering/confused residents, and resident falls; and ensure resident safety at all times and protect the rights of all residents at all times. Obtain weights, pulse, respiration, temperature, and blood pressure when directed by Licensed Nurse; monitor Foley Catheters and provides catheter care daily; monitor oxygen gauges, alerting Charge Nurse appropriately; monitor, removes, and cleans ostomy appliances used for the purpose of assisting the resident to eliminate waste; perform Fleet enemas as requested by a Licensed Nurse. A candidate for this position should be a high school graduate or equivalent; have successfully completed a Nursing Assistant Training Course certified by the State of New Hampshire, and have a current New Hampshire LNA License without restrictions or sanctions of any kind. A candidate for this position should have a knowledge of geriatric care, and relevant clinical training; the ability to make arithmetical computations and tabulations; have good organizational skills and basic computer skills.